Does India, with one of the world’s largest military force, have the wherewithal to play a role in consonance with its geographical spread, size of populace, economic strength and its anticipated ascendance in a few decades? Will our military prowess be able to keep pace with our economic growth and serve as an instrument in driving our geo-political objectives? The answer is as best a tentative one. Our force modernization is way behind our competitors. The author provides a strategic review of the major issues involved. to shed traditional trappings to adapt to the new and relatively unknown, the debate on just how to manage this change remains open. It is time therefore to make an endeavour towards delineating the conceptual underpinnings on which efforts towards modernization and force structuring, two essentials of such change, must be predicated. Critics of India’s military hold that its growth over the years is more an unplanned reaction to contemporary crises than anything else. Others speak of our looking to fight tomorrow’s wars with lessons, tactics and strategies derived from yesterday, and that military requirements are more in the nature of accretions – essentially ‘more’ and ‘ better’ – be it numbers, equipment, weapons, and the like. Such broad statements neither do justice to the story, nor take into account the peculiarities that govern higher defence organization in India. Obtaining clarity on deciding how to go about shaping the contours of our military modernization therefore becomes the first prerequisite. A preface on the ingredients which will shape such contours becomes necessary. The understanding of what to expect from our armed forces, derives from an appraisal of how India’s national aims are to be achieved in the current and future geo-strategic environment. India is a responsible power in a multi-polar world, currently the dominant power in the Indian Ocean and South Asia, and as envisaged by Price Waterhouse Cooper, the second largest economy by 2050. 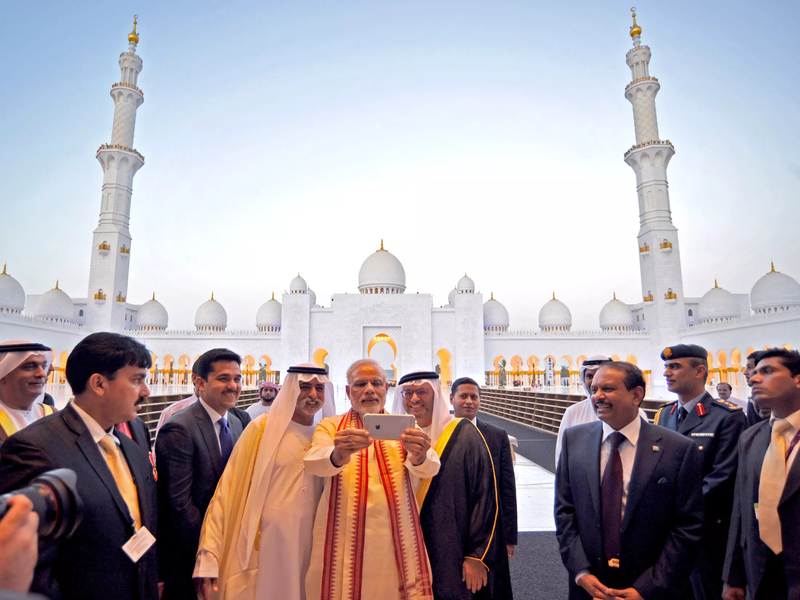 There is an envisaged role for India based on these formulations, which many nations large and small share. To achieve this, India has to devise corresponding security policies, and conceptualise as to what are the ends the military is required to achieve to attain these. This would lead us to the appropriate strategies to adopt, thereby connecting the two in a constantly changing environment. This essentially, is the baseline. While Indian military thinkers rightly continue to devote attention towards our land borders because of our long history with hostile neighbours, India’s strategic canvas now spreads far beyond its land borders. 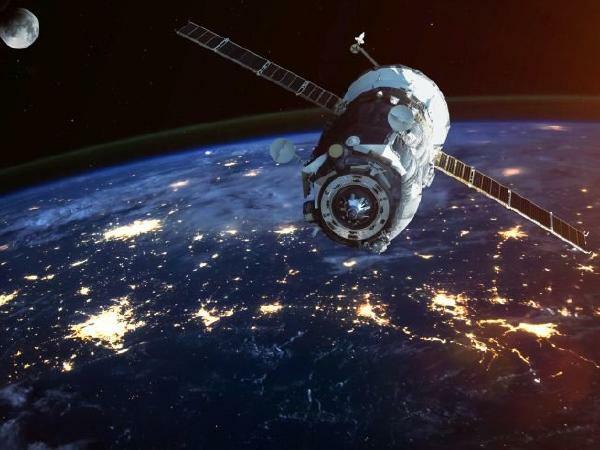 There is a variety of threats – territorial, seaborne, environmental, natural disasters, migration, drug trafficking, radicalization, terrorism, piracy – threats to the economy, energy security, with delivery means ranging from the conventional to space, cyberspace and nuclear. These are issues, which merit examination when deciding on future military requirements and integrated perspective plans, while not forgetting the ongoing proxy war in Kashmir, whose outcome manifests itself with unfailing regularity both in the hinterland and along the Line of Control. Along with this remains the danger of sudden escalation on the Line of Actual Control to the North. Therefore, in which direction should Indian security planners look, when updating or revamping national security policies, and what does this imply for military modernization, i.e., capabilities desired for our respective services, and apportioning of funds accordingly. That becomes the key question. 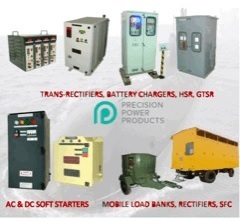 capacity and capability in certain areas. Enhanced heavy lift capability by air, aerial refueling and raising of a Mountain Strike Corps, are examples. As learnt from media reports, other acquisitions / accretions are in the offing. However, given that it has been planned in the long term to acquire a certain capability for prosecuting warfare in a particular manner, overall, how close are we to achieving this? 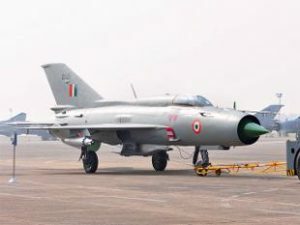 Analysis of details in the public domain, such as CAG reports, submissions to the Parliamentary Standing Committee on Defence and otherwise, suggest that there is a long way to go before achieving these objectives. While the accretions mentioned just now definitely beef up capability, these have to be seen in the context of yet another Revolution in Military Affairs which is quietly taking place. This RMA is driven by technology, proliferation of sensors and smart devices, creation of sophisticated information networks, and the exponential growth of automated systems and artificial intelligence. China is working on a national strategy towards development of next-generation Artificial Intelligence for commercial and military applications, while actively pursuing military robotics. It is carrying out research in unmanned systems. Its progress in developing drones both armed and of the swarming variety has been phenomenal. It is progressing towards the development of directed energy weapons, including lasers, rail-guns, and high-power microwave weapons. It is steadily building up its strategic rocket forces. It plans to achieve preeminence in the fields of quantum cryptography and communications. In short, focused and harnessed use of technology is providing options for China and others to look at alternate methods of war-fighting, moving away from the purely kinetic and contact type of war, to the non-kinetic, and non-contact variety as well, with lessons for others as well. A by-product of this RMA is the renewed impetus towards prosecution of asymmetric or hybrid war – the gray zone of conflict, whose instruments are not confined to any single domain, but converge to achieve the overall aim. can be laid waste by flying a drone over that area and releasing a compound which on hitting a shed, generates tremendous heat, to rip through metal, causing detonations. Provinces can be taken over by infiltrating large numbers of Special Forces in plain clothes, to merge with the population, organise an insurrection leading to regime change, all with plausible deniability. Again, the lessons are clear: while ensuring a modicum of conventional deterrence, be ready for the unconventional, where, thanks to technology, even the weakest gets the opportunity to strike with exponential spin-offs – more so in today’s information age, where the metrics of victory in terms of capture of territory and destruction of material are not as absolute as in earlier times. And preparing for this new normal will require not just the military, but an all of government approach, touching the lives of every citizen. With this as background, how should India’s military modernize and restructure? 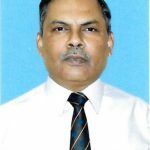 Some outline thoughts, which would go in formulation of the doctrine for employment – while one has recently been issued by the IDS, it has to be constantly reviewed and a symbiotic relationship developed with the Raksha Mantri’s Operational Directive. To guarantee security in the maritime domain of our geo-strategic space and provide assurance to our smaller neighbours, the Navy should be the preferred instrument for employment. 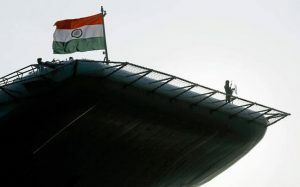 Whether it be the Indian Ocean or the Indo-Pacific, a strong Navy with a permanent presence, showing the flag, securing our sea lines of communication and energy corridors (including the proposed Asia Africa Growth Corridor), or providing Humanitarian Assistance and Disaster Relief, becomes mandatory. 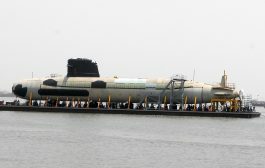 It provides India with options for employment of expeditionary forces, and its augmented underwater fleet would constitute a powerful deterrent. All this would again require extensive capability building. 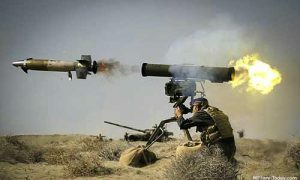 For battles on land, induction of more conventional long range and stand-off weapon systems such as rockets and missiles is necessary, to prevent recurrence of attrition battles after establishing contact. Modernisation of infantry to enable it to fight effectively both in the conventional and sub conventional domains remains top priority. Optimisation of current resources to enable switching of forces from one theatre to another within suitable time windows to effectively manage wars on different fronts, is vital. Continuous fine tuning of all systems relating to our nuclear deterrent is another area to work upon. Developing capabilities in the cyber and space domains, to incapacitate the adversary’s communications, command and control, weapon systems, guidance mechanisms and so on, as also their equivalents through which the target nation’s economy and services are governed is another priority area. And for prosecuting unconventional warfare, the need to expand and integrate our Special Forces, for achieving strategic aims requires no further iteration. Most importantly is the requirement for hands on, real time battlefield transparency on land and sea, through UAVs and satellites, while leveraging artificial intelligence to deliver munitions remotely using robots, swarms and the like. nations is sought to be subverted. To achieve all this, the vital ingredient is indigenous, state of the art technology, with close cooperation between the Services, DRDO and indigenous industry becoming mandatory. The Services would identify futuristic technologies they require, for the scientific community to work on and deliver. India cannot stay on top of the curve otherwise. The next step is to organise a formal sitting down of concerned persons in the services, integrated staff, ministries of defence, NSCS and DRDO, to reconcile the proposed doctrine and proposed capabilities, (with inputs from other ministries and departments including MEA, Finance and Home) with the existing Raksha Mantri’s Operational Directive. This would ensure that any revised document that is produced is rooted in reality, so that the tasks given can be realised. It goes without saying that concurrently, efforts towards restructuring, including agreed upon aspects of theaterisation, which have been envisaged earlier must be pushed forcefully. Pilot projects in certain stations must be constantly monitored, and adapted elsewhere. The spin-offs both operational and financial of such a restructuring are huge. 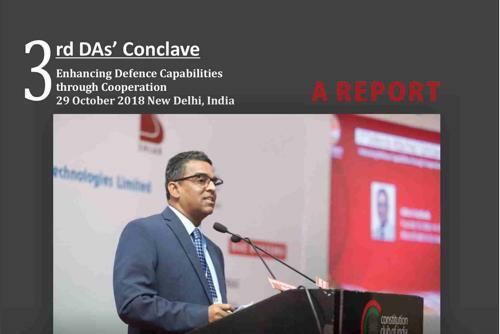 Only then can defence capability be optimised, and the office of the CDS do its job as originally conceptualized, as per an Indianised model. Operationally, jointness from functional level upwards is the first step. In this sphere, the possibilities are endless, including cross attachments between services. The final issue pertains to the requirement to correlate all that has been discussed so far with the reality of the Defence Budget. The defence budget (as is normally understood), for 2018-19, is around 2,79,305 crores, out of the total MoD budget of 4,04,365 crores (which includes defence pensions, expenditure on Coast Guard, BRO, ECHS, MF, Def Estates, JAK LI) – roughly 70% of the MoD budget, and 1.49 percent of India’s GDP. Even this amount (Defence Budget) is around 11.4 percent of total Central Government expenditure, while the total MoD budget works out to 16.6 percent of Central Government expenditure. 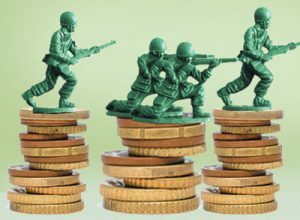 The revenue expenditure of 1,85,323 crores is 66 percent of the total defence budget today, when just seven years earlier in 2011-12, it was 60 percent. The defence budget has grown by a factor of 2 from 2009-10 to 2018-19, but the pension budget has increased by a factor of 5 for the same period. 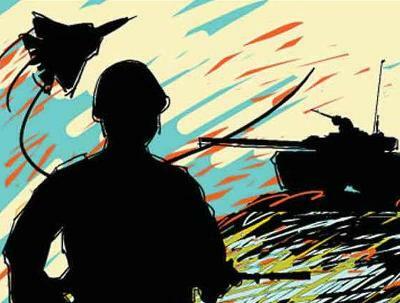 The total manpower cost (salaries and pensions) is 56 percent of the MoD’s total budget for 2018-19, up from 44 percent in 2011-12. And during this period, capital procurement has declined from 26 to 18 percent. The figures speak for themselves. What demands attention is the rising manpower cost? The answer: prioritization, restructuring, and different methods of war-fighting. 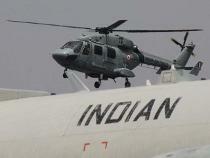 India’s security planners face many challenges. Perhaps amongst the greatest is matching desired ends with available means. And, deciding how to proceed when prioritising finite resources to develop additional capabilities for future conflicts, across a canvas ranging from the Indo-Pacific to defending the borders, at the same time optimising whatever has been acquired with much effort. It is time to start thinking on these lines. Maj Gen Alok Deb, SM, VSM commanded his Artillery regiment in Operation Vijay where it was awarded the Chief of Army Staff Unit Citation and Honour Title Kargil.